It’s the most wonderful time of the year. Except when it isn’t. Advent – the four weeks leading up to Christmas – is supposed to be a sacred time. A time set aside, not only for preparation and anticipation of a favorite holiday, but also for reflection and meditation on the spiritual significance of this holy season. But the headlines of the last several weeks have overshadowed any jolliness I can muster. Domestically, we have seen multiple unarmed black men gunned down by white police officers leading to widespread rioting and chaos, reopening old wounds many believed had already been healed. Abroad, we continue to see militant Islamic terrorists murder innocent people, crippling regions once believed to be safe and putting Uttermost representatives in harms way. I am hesitant to celebrate. It feels almost inappropriate to give gifts and feast when so many are mourning. But I find hope in this: there was another time when people were oppressed and mistreated. There was another time when darkness seemed to be winning and the people of God were waiting, praying for Him to act. The Word became flesh and dwelt among us. He loved us and taught us how to love each other. Then He made atonement for our sin and returned to the Father to prepare a place for us. Not like the first time. He will not come back as a peasant baby in a backwoods manger but as a conquering king, sword in hand, robe dipped in blood. And all the fury and wrath that was once absorbed in love will now be unleashed in justice. Evil, injustice, slavery, exploitation, terror will finally, ultimately be dealt with. And that is worth celebrating. "Then I saw heaven opened and behold a white horse! The one sitting on it is called Faithful and True and in righteousness he judges and makes war." 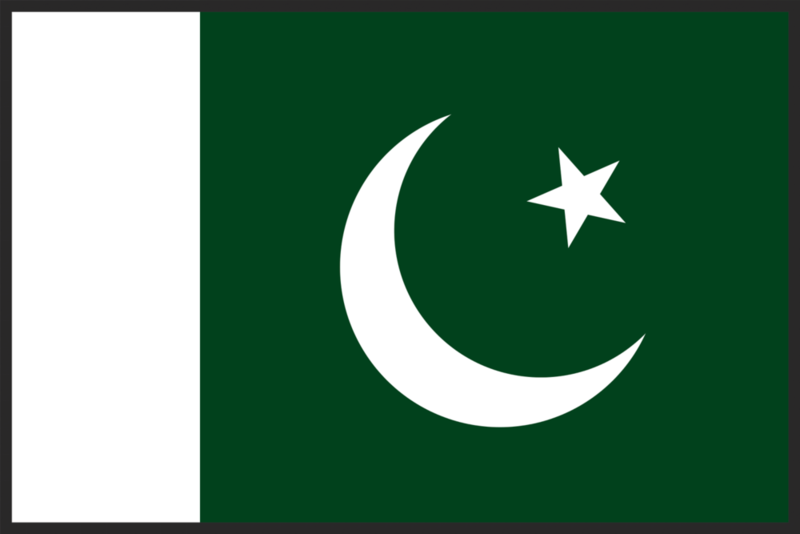 Islamic Republic of Pakistan is a sovereign country in South Asia. With a population exceeding 180 million people, it is the sixth most populous country and with an area covering 796,095 km2 (307,374 sq mi), it is the 36th largest country in the world in terms of area. Pakistan has a 1,046-kilometre (650 mi) coastline along the Arabian Sea and the Gulf of Oman in the south and is bordered by India to the east, Afghanistan to the west, Iran to the southwest and China in the far northeast. It is separated from Tajikistan by Afghanistan's narrow Wakhan Corridor in the north, and also shares a marine border with Oman. The territory that now constitutes Pakistan was previously home to several ancient cultures, including the Mehrgarh of the Neolithic and the Bronze Age Indus Valley Civilisation, and was later home to kingdoms ruled by people of different faiths and cultures, including Hindus, Indo-Greeks, Muslims, Turco-Mongols, Afghans and Sikhs. The area has been ruled by numerous empires and dynasties, including the Indian Mauryan Empire, the Persian Achaemenid Empire, Alexander of Macedonia, the Arab Umayyad Caliphate, the Mongol Empire, the Mughal Empire, the Durrani Empire, the Sikh Empire and the British Empire. As a result of the Pakistan Movement led by Muhammad Ali Jinnah and the subcontinent's struggle for independence, Pakistan was created in 1947 as an independent nation for Muslims from the regions in the east and west of Subcontinent where there was a Muslim majority. Initially a dominion, Pakistan adopted a new constitution in 1956, becoming an Islamic republic. A civil war in 1971 resulted in the secession of East Pakistan as the new country of Bangladesh. Pray for the families of the 137 students who were murdered in a Taliban attack at a school in Peshawar this morning.